I find some sellers claim OBDPROG MT401 is better than OBDSTAR X300M. Actually, it is not true!!! 1. OBDSTAR X300M update is ahead than OBDPROG MT401, such as Mercedes Benz, VAG MQB, Fiat, Volvo etc. 2. 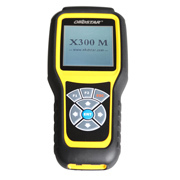 For newest car models like Audi TT, A3 etc, only OBDSTAR X300M supports. Newest update & models Mercedes Benz, VAG MQB, Fiat, Volvo, click here for details. Can’t cover newest cars like Audi TT, A3 etc. Purchase new flashing software Clones, which one?